Date Original Map: January 2007. Globe converted to SVG and recoloured to Standard Wikipedia colours on date of upload. Transferred from en.wikipedia to Commons by RaviC using CommonsHelper. current 23:41, 16 March 2015 553 × 553 (304 KB) Flappiefh (talk | contribs) Removed Somaliland and Kosovo. Separated Western Sahara and Morroco. 16:39, 4 August 2013 553 × 553 (308 KB) Flappiefh (talk | contribs) Added South Sudan. 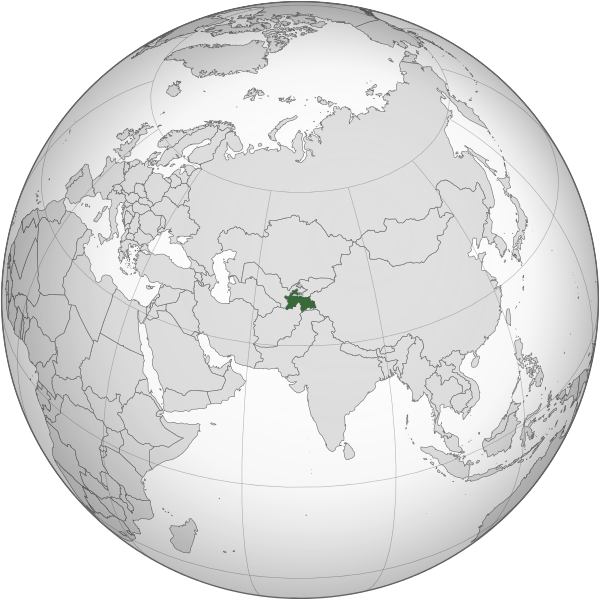 The map is now centered on Tadjikistan. 09:21, 16 May 2011 550 × 550 (485 KB) Eddo (talk | contribs) graphic design? This page was last edited on 18 March 2015, at 03:23.